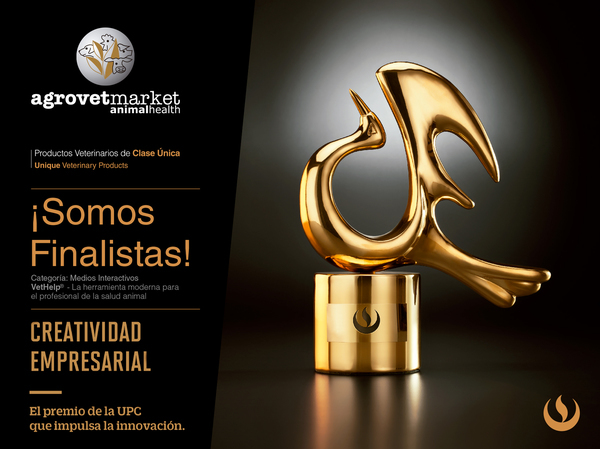 VetHelp®, the mobile application of Agrovet Market Animal Health has been selected for the second time among the finalists of the 2015 Business Creativity Awards, in the Interactive Media category. This nomination adds up to Agrovet Market's recognition in the industry, along with two prior Business Creativity awards. Launched in December 2013, VetHelp® has become the app for animal health professionals, with over 51000 downloads, it's usefulness, design and navigability stands out. Strategicaly, this app enabled the company the possibility of strengthening ties with its public and provide additional value through innovation, remaining at the forefront of digital issues. The Agrovet Market Animal Health team is proud of VetHelp®' nomination and wishes to thank all its customers and users for their confidence in the company. The app is available for download in both Google Play and Apple Store.